Well, Mom’s not really chichi. However, she does love stylish things. 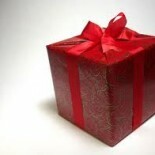 Mother’s Day presents a great time to give her gifts that shed off winter for herself and her environment. 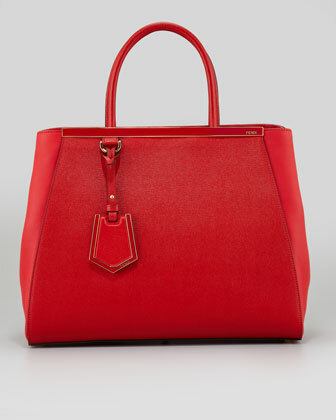 Especially, the bright light trends of spring and summer. And, even loving stylish things, most moms will love when you find frugal gifts and still give her beauty and style. 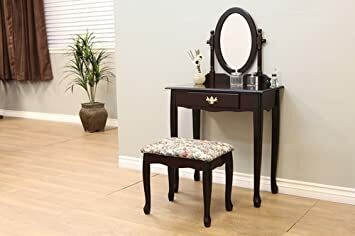 Wow your Mom with this classic Vanity Set with Queen Anne Design. She might find the perfect spot for its rich cherry elegance in the foyer, the sitting room, the living room or the bedroom. …in this case may not be gold, but these choices might be a golden choice for Mom. Jewelry makes a great stylish gift if you know Mom’s taste. Macy’s is one of the best retailers for jewelry sales. And there’s a sale going on now. Their “Extra 15% off” and “bonus offer” is also in effect. Note, for some reason there’s more sterling silver items than anything else. The Victoria Townsend Sterling Silver Blue Topaz and Diamond Oval Ring might work for a traditional mom. Also available as a square shape in 18K gold; blue and pink topaz, sapphire, citrine and purple amethyst, with diamonds, for $53. This mom might also love the Givenchy Swarovski Element Ring. Or, the Studio Silver 18K gold Over Sterling Silver Labradorite Ring. The Studio Silver Tri-Tone Stackable Ring Collection. 18k gold and rose gold over sterling silver. Or, this gem enhanced stackable ring. Givenchy 10k Gold-Plated Swarovski Element Stacked Ring. Could this three-row silhouette enhance your Mom’s finger? Haskell Necklace, Hematite-Tone Glass Crystal Circle Pendant – a never-ending circle of glass crystals. Quite a statement. Black works for evening, even in Spring and Summer. Mom makes quite an entrance in the Js Boutique One Shoulder Gown. Its simplicity allows her to “jewel up” to suit her personality. Or, Mom might prefer the Max Studio Embroidered Voile Dress for a spring fling affair. This dress certainly evokes spring. Women often welcome a versatile scarf into their wardrobe. As long as Mom doesn’t have a drawer full already. A muted (think Monet, Renoir) floral print graces this Flower in the Attic Scarf. Elegant and stylish in gauzy knit that will coordinate well. Mom will cook in style with the Cuisine Couture Apron. The color blocking adds some pizzaz. She might be tempted to leave it on when the guests arrive. Or, she might find the Key Lime Apron more to her liking. Numerous styles available. Stylish mom might love the Lace Trapeze Nightie by Jonquil. 24” of fiery red lacy nylon/spandex. PJ’s more her style? Consider these DKNY Patterned Knit Pajamas. Bright piping highlight these boyfriend pajamas. She’ll probably lounge around a few mornings in this soft jersey knit. And, mom will look good doing it! JCrew offers the Vintage Pajama Set in a crisp men’s shirting cotton. These also have decorative piping. In various colors. Also available as a Vintage Short Pajama Set. If Mom really loves pajamas and you want to give really special ones? Check out the Irish linen Pajama Set for $198. Get an additional 25% off on all JCrew purchases through May 3, 2013. This Mom might really appreciate the honey and herb-inspired Stoli Sticki vodka. She’ll also appreciate that Stoli uses natural flavoring in its infusion process. Flavoring that pairs well with whatever Mom chooses. Get her several bottles, or pair a bottle with a great vodka glass set. She’ll proudly display the Ravenscroft Crystal 5-Piece Vodka Set. Four 4-ounce shot glasses and 23+ ounce stoppered decanter. Elegant beauty to hold the Stoli or simply for exhibition. The frosted glaze adds a dramatic touch to lead-free crystal hand carved by European craftsmen. She might prefer the Block by Mikasa Ice Vodka Glass Set . 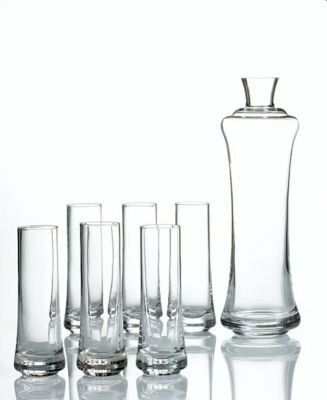 Six 4-ounce elegant and delicate tall glasses accompanies a 26-ounce stoppered decanter. 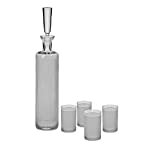 Amazon.com Bar Tools & Glass section offers a variety of glass sets like the Artland 9-piece Chiller Set for $33. Oil in art adequately describes the Cruet La Rioja. Mom should get a little lift every time she uses this cruet. Oil and vinegar doesn’t mix in this bottle, but the clever design and separate spouts make mixing easy and convenient. 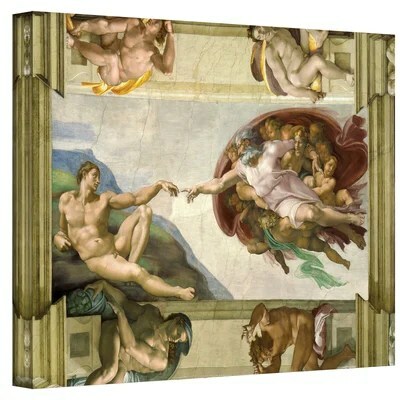 Several clever and artistic designs available. Give Mom the stylish Stackable Lunch Pail. Two airtight containers keep food secure. These stack, held upright by a carrying strap. If Mom’s more into modern style, give her the To-Go Ware 3 Tier Stainless Steel Food Carrier. This one provides the ability to take multi-course, home cooked meals. She can stack all three or take the self-latching top container alone. Get her the pack of 3 sidekicks. She’ll use these for dressing, sauces, etc. Wood fired Handled Bowls look seasoned. 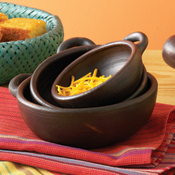 Mom will make great presentations of the most common food with these four great bowls. Two large, two small. Well that should get you started on finding the perfect gift for the stylish mom in your life. Happy Frugalista Mother’s Day Shopping! May you fill Mom’s day with joy! This entry was posted on May 2, 2013 by frugalistagiftguide in Accessories, J, K, L, M, N, O, Occasions, Uncategorized, women's and tagged Frugalista gifts, Jewelry, Mother's Day, style, Stylish moms, targeted gifts.